A good number of us, at least on Turtle Island, will be deep into Snoozeville when the moon becomes full in the early-morning hours of Friday July 31. When the full moon rises tonight (July 31), it will technically be a Blue Moon, but not for the reason you might think. 1) It's not really blue: Okay, so not really a newsflash, but the Blue Moon's name actually has nothing to do with color. Occasionally, the full moon can take on a reddish pallor, but today's full moon is not related to the actual color of Earth's cosmic neighbor. The moon can appear blue in color if a forest fire or volcanic eruption litters the upper atmosphere with ash or smoke. A volcanic eruption gave the moon a bluish tint from the perspective of many people on Earth in 1991. 4) It's only full for a moment: Although the moon usually looks full one day before and one day after the day of the full moon, there is technically only one moment when the moon is full in the sky. 5) It's kind of a rare sight: Blue Moons occur somewhat infrequently. After today's full moon, another Blue Moon will not occur again until 2018. The idiom "once in a Blue Moon" signifies a rare event because scientists had trouble predicting when the distinctive full moon would happen during any given year. 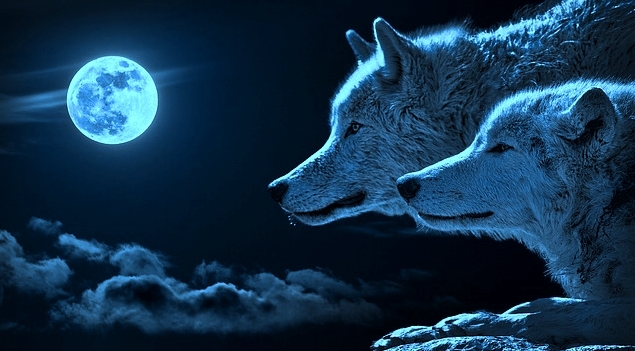 August Full Moon Names From Native American and Other Different Cultures Joyful Moon (Hopi). First Acorns (Pomo). Ripen moon (Dakota). Dispute Moon (Celtic). Cutter Moon (Abernaki). Dog Days moon (Yuchi). Corn Silk Moon (Ponca). Harvest Moon (Chinese). Berry Moon (Anishnaabe). Women's Moon (Choctaw). Mulberries Moon (Natchez). Middle moon (Potawatomi). Freshness Moon (Mohawk). 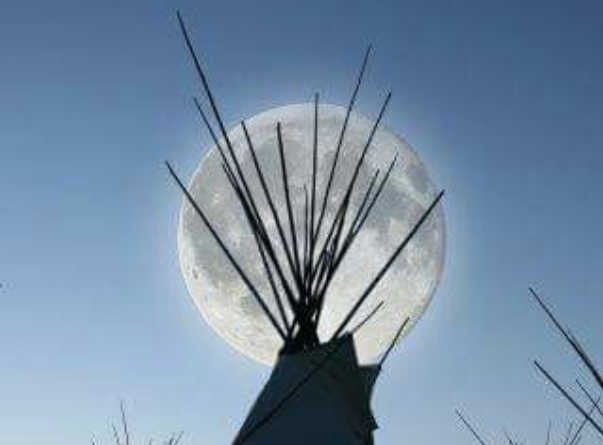 Yelow flower moon (Osage). Blackberry Moon (Wishram). Acorns Ripen Moon (Maidu). Wheat Cut Moon (San Juan). Responses to " Rare Blue Moon Rises Tonight: 5 Amazing Facts "